I'm relatively new to the forums and new to fd3s ownership, so be nice... I've been digging for a while without a clear soultion about my boost controller dilemma. I just bought a trubosmart manula boost controller. I'm running stock twins, but I have a BLITZ intercooler, hard piping, hks intakes, bigger injectors(forgot what size), Apexi Power fc commander, no Cat, Racing Beat exhaust, HKS twin power ignition system, Greddy type-s BOV, and more. 1) can i achieve my boost goal safely with the addition of the single mbc? 2) is there any complicated tuning involved before and after install? or is it plug-n-play for the most part? 3) any tips on how to install? I know I sound like a complete newb, but it's much more beneficial to get answers to my PARTICULAR situation from experienced owners who know the answer rather than blow my motor by using advice about someone else's unique setup that might not work with mine. You should be at 11-12 psi right now with those mods, not 7-8. The factory boost pressure is 10psi (actually a 10-8-10 pattern on the stock twin turbos), but with those aftermarket parts and no cats the boost usually ends up more in the 11-12psi range. That's what I was thinking too, but my fc commander says I'm at between .45 and .55 bar... I was thinking maybe I could take off some of the pressure that's opening up the wastegate by using a manual boost controller. another Q, I've seen people running 2 mbc's on the twins. is this necessary? Hi there, so it sounds like your car is running off wastegate spring pressure (about 7 psi). Usually there is a pill, or restriction in the line that runs to the waste gate, that restricts the flow so prevents it from opening untill 10psi. 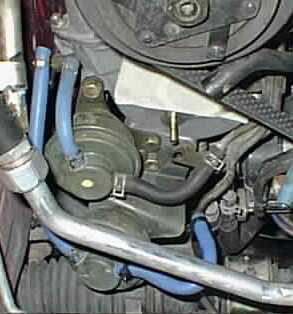 Its quite straight forward, you will just need to remove your intake piping so you can see the stock waste gate hose. Then its just a matter removing the old hose, and attaching a new longer piece of hose that's long enough to go to where ever you want to mount your boost controller. so I connect it to the actuator (wastegate control) and not the pre-spool actuator? You can also put a manual controller on that line as-well, but it can be tricky and sensitive to get the pre-spool correct. Its generally better to leave the pre-spool as is and just do the wastegate. if your only doing one then don't touch the pre-spool, and don't change the hose on it either unless you also swap the restriction pills over! thanks man. good info now i start with the MBC completely closed and use 1/4 turns to tune it until i get my desired boost pressure, correct? and where does the boost gauge come into the picture? other way round, start with it completely open, and close it until you read your desired boost - that way you should see the minimum boost (about 7 psi) with it completely open and working off spring pressure only, and close it to go up from there. Quick Reply: boost controller Q's... please help!